Swarna Bhasma, Moti Pishti, Nag Bhasma, Kesar, Amber, Karpur, Amla, Sudh Kuchla, Lohban, Rigni, Rasna, Suranjan, Chobchini, Kalonji, Sonth, Mirch Kali, Pipal. Arthritis, stiffness, rheumatic disorders, joint pains, neuralgia, frozen shoulder, post operative aches and pains, cervical Spondylitis, back-aches and leg cramps, lumbago, sciatica, muscular pains. 1 Capsule twice or thrice a day with water or milk. Kizhi Oil, is most beneficial in musculoskeletal disorders (pain, swelling and stiffness), and neuro–vasculopathy (numbness, loss of sensation, burning sensation, cramps). Kizhi Oil, is recommended for arthritis and rheumatism and highly beneficial in low back ache (muscular & disc), neck pain (spondylosis), muscle pain (Fibromyalgia), joint pain and problem related to nerves and blood vessels. Each capsule contains: Mahavatvidhwans, Sameerpannag, Ekangveer Ras, Sootshekhar, Khurasani Owa, Lajari. It is used in the treatment of hemiplegia, paralysis, facial palsy, body stiffness, neuralgia, myalgia, sciatica, cramps in calf and neuro-muscular disorders of CNS & PNS. 1 – 2 Capsule 2 – 3 times daily with water/honey. Each 5 ml contains extracts of: Ushira (Vetiveria zizanioides) 90.00 mg, Syrup base q.s. Exhaustion and discomfort due to heat, burning micturition, excessive thirst, dehydration, cramps. Mix 2 tablespoon (30 ml) in a glass of water or milk (180 ml) and stir well. Drink as and when required in moderation. Each 10 ml is prepared from: Narayan Tail 2.5 ml.Vishgrabha Taila 2.5 mlMaha Mash Taila 2.5 ml.Gandhapuro Taila 2.5 ml. Useful as a topical application for osteoarthritis and rheumatoid arthritis, sports injury, sprain, back pain, leg cramps myalgia, lumbago, sciatica, neuralgia, frozen shoulder and spondylitis. Suranjan, Azbiyan, Sonth, Crilo, Nirgundi, Pipli, Shudh Kuchla, Abrak Bhasma, Shudh Guggal, Shudh Shilajeet. For muscular sprains, cramps, arthritis, gout & joint pains. 1 - 2 Capsules twice daily with luke warm water or milk. Emblica officinalis, Punica granatum, Adhatoda vasica Nees, Elettaria cardamomum, Piper longum. Men-Nee is prepared from pure natural herbs to relieve indigestion, constipation, abdominal cramps, vomiting and promotes appetite. Take one sachet half an hour before or after meals with boiled lukewarm water. Cephalandra indica, Gymnema sylvestre, Syzygium jambolanum, Crataegus oxyacantha, Acidum phosphoricum, Abroma augusta, Helnias dioica. 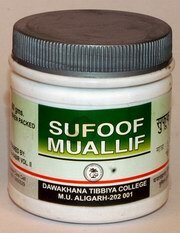 It is advised in increased frequency of Urination, Increased Thirst, Hyperglycaemia (Diabetes), Weakness, Cramps. 10 drops to be added in ¼ cup of water, half an hour before meals, three times daily. Aletris Farinosa, Helonias Dioica, Janosia Ashoka, Thlaspi Bursa Pastoris. It is an ideal remedy to maintain a regular & healthy menstrual cycle. Helps relieve cramps & backache. It helps to treat menstrual irregularities such as amenorrhoea (delayed menses), oligomenorrhoea (scanty menses), dysmenorrhoea (painful menses), menorrhagia (excessive menses) and metrorhagia (bleeding/spotting in between periods). Calcarea Carbonica, Calcarea Fluorica, Calcarea Phosphorica, Silicea. It is effective remedy in treating osteoporosis, malnutrition of bones, growing pains and cramps in calves. Adults & Children above 12 years: 2 tablets to be taken 4 times a day, 10 minutes before or after meals. Children below 12 years: 2 tablets to be taken 2 times a day, 10 minutes before or after meals.